GENERAL DIRECTIONS: PREHEAT OVEN TO 350 DEGREES. COMBINE ALL PACKAGES EXCEPT THE SUGAR (MARKED-Y) IN A MIXING BOWL WITH 2 EGGS, 1/4 CUP MELTED BUTTER, AND 1/2 CUP chardonnay wine*. STIR UNTIL BLENDED. POUR BATTER INTO A GREASED LOAF PAN (9x5x4-INCH). SPRINKLE THE RESERVED SUGAR PACKET OVER THE TOP. BAKE APPROXIMATELY 45-50 MINUTES OR UNTIL TOOTHPICK INSERTED IN MIDDLE COMES OUT CLEAN. NOTE: YOU CAN SUBSTITUTE ANY WHITE WINE FOR THE 12 OZ. (ROOM TEMPERATURE) CHARDONNAY. 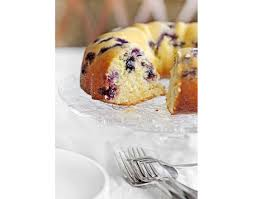 This bread mix has a perfect balance of blueberries and lemon flavor. Use your favorite chardonnay to make this mix! NIACIN, IRON, THIAMIN MONONITRATE, RIBOFLAVIN, FOLIC ACID)), SUGAR, NATURAL FLAVORINGS, AND BLUEBERRY FLAVORED APPLE NUGGETS (APPLES, NATURAL FLAVORS, CITRIC ACID, ARTIFICIAL COLORS (RED #40 & BLUE #1), SODIUM CITRATE). 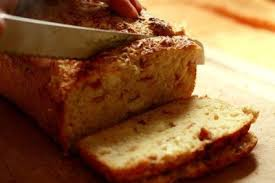 A great bread mix exploding with tons of bacon and cheese flavor. Cook with your favorite chardonnay. 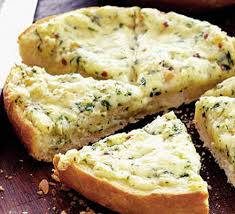 A wonderful bread full of cheesy garlic flavor that will have your guests raving about your meals!! 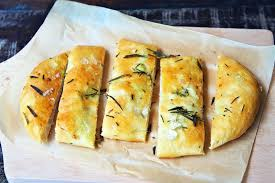 You can even use any white wine to make this delicious bread! Make this flavorful bread with your favorite white wine. Easy to make and delicious. INGREDIENTS: SELF-RISING ENRICHED FLOUR BLEACHED ((WHEAT FLOUR, LEAVENING (SODIUM ALUMINUM PHOSPHATE, BAKING SODA, CALCIUM SULFATE, MONOCALCIUM PHOSPHATE), SALT, MALTED BARLEY FLOUR, NIACIN, IRON, THIAMIN MONONITRATE, RIBOFLAVIN, FOLIC ACID)), SUGAR, ROSEMARY AND GARLIC. 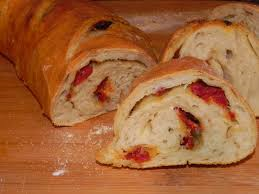 A great bread mix full of sun dried tomato flavor. Use your favorite white wine to mix up this delicious bread mix. INGREDIENTS: SELF-RISING ENRICHED FLOUR BLEACHED ((WHEAT FLOUR, LEAVENING (SODIUM ALUMINUM PHOSPHATE, BAKING SODA, CALCIUM SULFATE, MONOCALCIUM PHOSPHATE), SALT, MALTED BARLEY FLOUR, NIACIN, IRON, THIAMIN MONONITRATE, RIBOFLAVIN, FOLIC ACID)), SUGAR, DRIED ONIONS, DRIED TOMATO POWDER, DRIED OREGANO, DRIED BASIL, AND GRANULATED GARLIC. Make your friends jealous with your cooking ability. 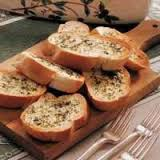 This is a great bread mix full of Tuscan flavors accompanied by parmesan cheese. Use your favorite white wine to make this delicious bread mix and show it off. INGREDIENTS: SELF-RISING ENRICHED FLOUR BLEACHED ((WHEAT FLOUR, LEAVENING (SODIUM ALUMINUM PHOSPHATE, BAKING SODA, CALCIUM SULFATE, MONOCALCIUM PHOSPHATE), SALT, MALTED BARLEY FLOUR, NIACIN, IRON, THIAMIN MONONITRATE, RIBOFLAVIN, FOLIC ACID)), SUGAR, PARMESAN/ROMANO CHEESE (CULTURED PASTEURIZED Part skim AND WHOLE milk, salt, AND enzymes. MICRO CRYSTALLINE CELLULOSE USED FOR ANTI-CAKING), MARJORAM, ROSEMARY, THYME AND OTHER SPICES.